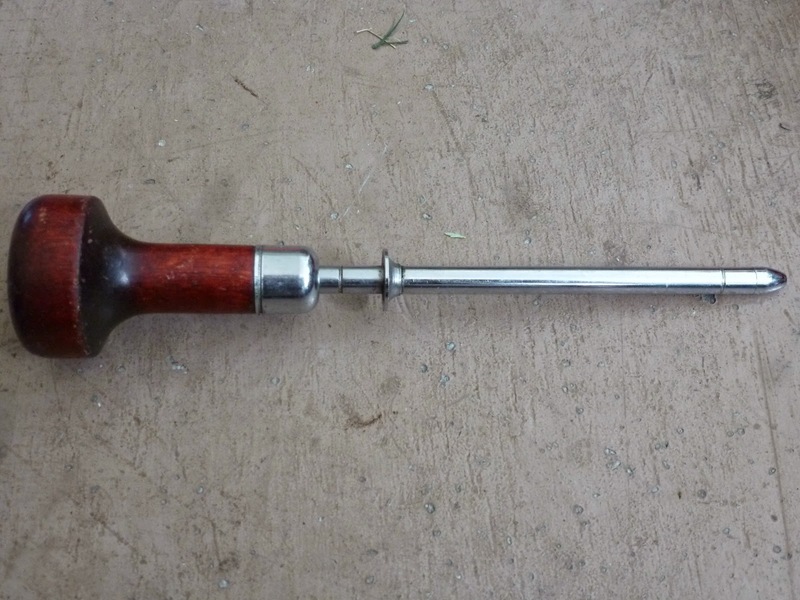 When the wooden handle is pushed down a small pointed tip comes out the end. Self centering punch for door hinges?? ?